The new Tata Ultra 9m AC electric buses are built on an all-new modular platform and will have a range of 150 km. The e-buses will be delivered in Lucknow over a period of the next four months. 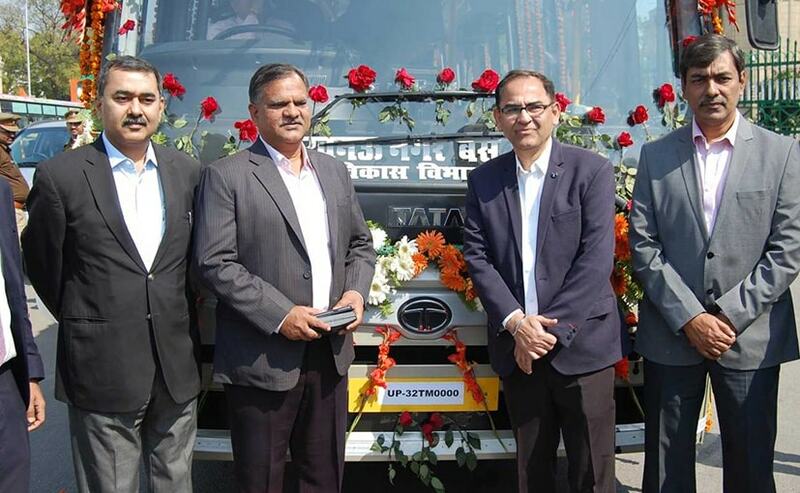 Tata Motors had commenced the supply of 40 electric buses to the Lucknow City Transport Services Ltd. (LCTSL). The automaker will be supplying the Ultra 9m AC Electric buses to the city in a phased manner over the next four months. The order is part of the 255 e-buses that will be supplied to six STUs in the country. 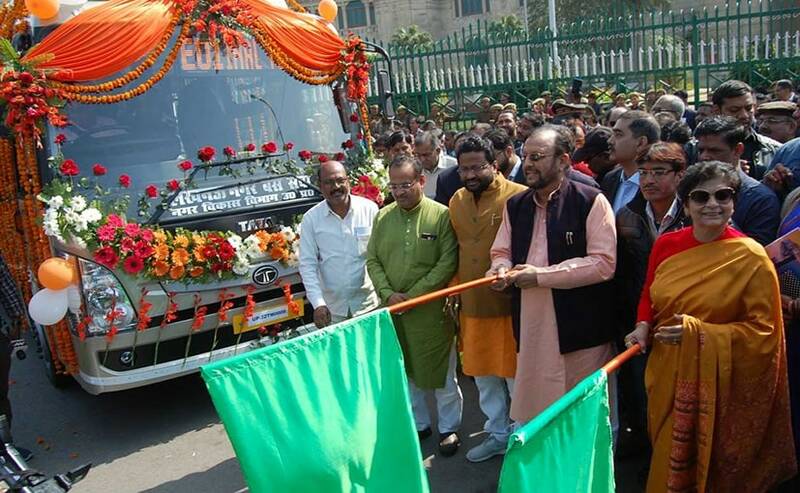 The first Ultra 9/9m AC Electric bus was flagged off in Lucknow by the Minister of Urban Development, Suresh Kumar Khanna. 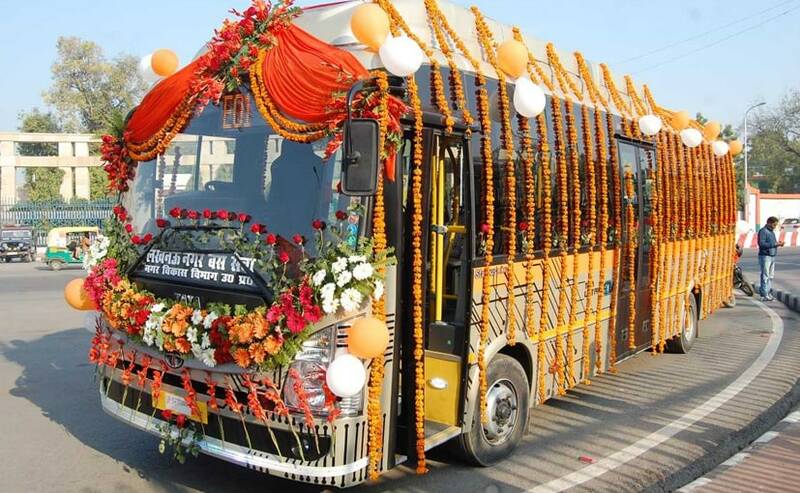 The electric bus will begin its journey from Alambagh depot in Lucknow. The e-buses have been developed indigenously by the company and are built on an all-new modular platform that was developed in a period of less than a year. The Tata Ultra 9m AC Electric buses are manufactured at Tata and Tata Marcopolo Dharwad plsnts. The electric buses will have a travelling range of 150 km on a single charge. The Ultra 9m AC e-buses uses lithium-ion batteries that have been placed on the rooftop to prevent breakdown due to waterlogging. The company says the batteries are liquid-cooled to maintain the temperature within an optimum range and ensure longer life along with better performance in tropical conditions. The automaker has also installed a charging station at the Alambagh depot for fast charging of the buses. The new electric buses use an integrated electric motor generator with peak power at 330 bhp and can deliver up to 194 bhp continuously. The critical electrical traction components have been sourced from suppliers in the US, Germany and China. Moreover, the buses have been tested and validated by the company across multiple states including Himachal Pradesh, Chandigarh, Assam and Maharashtra to establish performance in diverse terrains. The Tata Ultra electric buses are equipped with air-conditioning and have seats for 31 passengers. The buses will come with an air suspension for both the front and rear axles, as an Industry first feature, and are intended to make the ride more comfortable. Tara Motors will be supplying e-buses to WBTC (West Bengal), LCTSL (Lucknow), AICTSL (Indore), ASTC (Guwahati), J&KSRTC (Jammu) and JCTSL (Jaipur). The manufacturer has also said that it is developing its electric mini-bus segment in the near future.